World Radio Day is observed on 13 February, every year. This day aims to celebrate radio and how it has shaped our lives. 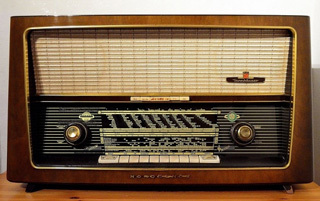 The idea for a ‘World Radio Day’ was first proposed by Academia Española de la Radio (Spain’s Radio Academy) in 2010. UNESCO agreed to proclaim the day after a series of consultations with broadcasters from around the world. 13 February was chosen to mark World Radio Day, coinciding with United Nations’ Radio, United Nations’ international broadcasting service which was established on 13 February, 1946. Radio began as wireless telegraphy, and this started with the discovery of radio waves. Prior to Marconi inventing the radio in 1895, James Maxwell forecasted the presence of radio waves in 1860s. In 1886, Heinrich Hertz, a German scientist was able to send and receive radio waves in his lab. Since Hertz could not come up with any practical application of the radio waves, Marconi and Tesla took up the same technology and worked on it. Apart from Marconi and Tesla, David Hughes and JC Bose are also named as inventors of radio. From transmitting information, to broadcasting music and stories, radio has had a profound impact on the world and the people in it. Schools can conduct debate on topics like migration and violence against women. Students can be introduced to the concept of ‘tolerance’ and ‘peace’ through guest lectures and workshops. Schools can encourage the students to come up with short films on concepts like ‘Radio and peace’, ‘Negotiations’, etc. Schools can conduct MUNs by picking issues from countries and asking the students to represent the chosen countries. Schools can set up a radio club and can have the students broadcasting school-related information once a week. The students can take turns broadcasting information every week. 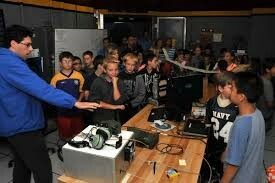 Schools can organise a visit to the radio station. This will help the students to understand how broadcasting works. Radio Day is a great opportunity to recall the impact and transition of radio in the modern world.